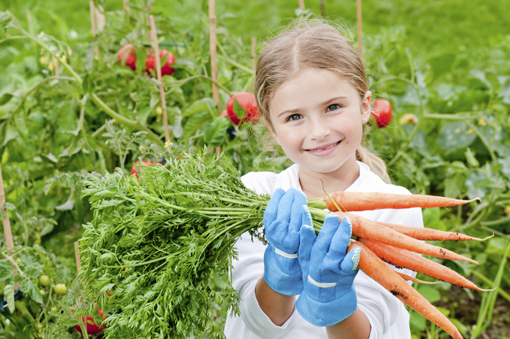 Farm for ME is a program designed to increase local access to nutritious vegetables, reduce food insecurity and improve food sustainability in northern Maine. Farm for ME launched as a pilot project of Catholic Charities Maine in the spring of 2013 on three acres in Aroostook County. The program was made possible in part by a grant from the Walmart Foundation, Elmina B. Sewall Foundation, Maine Community Foundation and local donated land. Soon local businesses, community organizations and many generous donors supported the project to ensure our vision for a sustainable, healthy food program would continue to grow. Culminating its fourth growing season in 2106, the Farm for ME program, grew by leaps and pounds! Growing on six acres in Aroostook County, Farm for ME harvests fresh vegetables for distribution via our Food Bank to local pantries as well as statewide through sharing with the Good Shepherd Food Bank. In addition to a bountiful harvest of 49,395 lbs. of beets, carrots, squash and rutabagas from our own field, growing support from the local farming community yielded donations of 268,650 lbs. of potatoes, broccoli, squash and cucumbers plus an additional 3,500 lbs. of corn were gleaned from partner farms by our volunteer “Glean Team” — bringing the total harvest from 2016 to a whopping 321, 545 lbs.! The need is great − In Aroostook County more than 1/3 of the 70,000 residents suffers from chronic, daily hunger. More than 23,000 of those residents depend on Catholic Charities each year for food through the 24 pantries served by our Food Bank. By supporting Farm for ME you help provide not just food, but nourishment through healthy, fresh vegetables. By increasing access to healthier food options we can also work toward reducing health issues such as obesity, diabetes and heart disease. Donate to Farm for ME!